GOALS (Get Outside and Learn Something), a Denver-based nonprofit that takes kids outdoors, now has a way for you to get up off the couch to help get gets outside. Its “Get Up & Get Down to Get Kids Out” Vertical Challenge is a unique event that allows supporters to raise money for GOALS while having fun schussing your favorite mountain. “This event raised almost $20,000 last year, and we’re setting an ambitious goal of doubling that through this year’s event,” says founder Brett Hochmuth. The event is free to all participants. 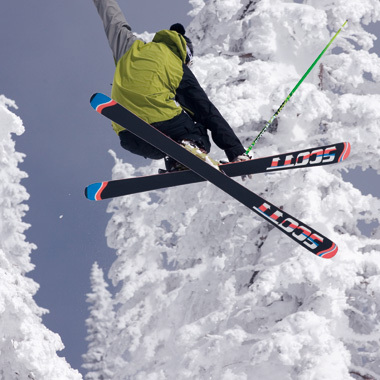 Those who fundraise aggressively can earn such prizes as a Loveland Ski Area season pass, Icelantic skis, a Never Summer snowboard, or a five-day raft trip through Cataract Canyon of the Colorado River in Canyonlands National Park. Being a part of the GOALS Vertical Challenge team is easy. Simply visit the fundraising web site (www.goals4youth.org/updownout); set up your fundraiser page on the pre-set template (hint: customize with your own message); ask for pledges by sending your fundraising page to friends, family, and co-workers seeking their support (pledges are tax-deductible); and then ski or ride over 10,000 vertical feet on March 10. With your FLAIK tracking device, you’ll be able to monitor your progress in real-time! Bonus: those who raise more than $750 will be entered to win a free pair of Icelantic skis, and the person raising the most money for GOALS will win a free five-day raft trip for two down the Colorado River’s Cataract Canyon.